The VisitCherokeeNC.com website introduces visitors to the attractions, events, history, language, and people of the Eastern Band of the Cherokee Indians and is operated by the tribe’s Travel and Tourism Department. 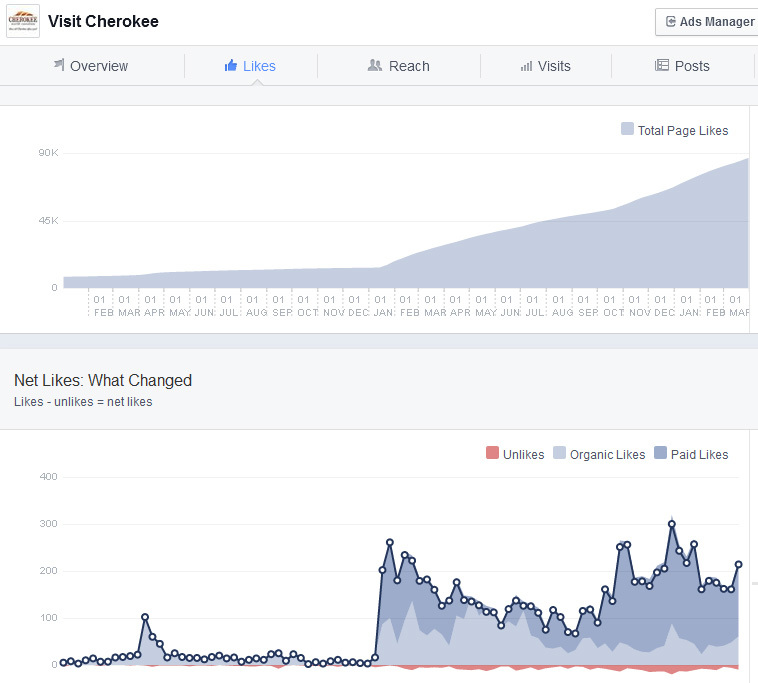 In late 2012, the Eastern Band of the Cherokee Indian Travel and Tourism Department contracted with JB Media for Internet marketing support to drive additional traffic to visitcherokeenc.com. JB Media was asked to provide assistance in search engine optimization, online advertising, and social media.